This event will take place at our 9th Ave. location. On Tuesday, October 28 at 7pm, Books on the Park is hosting its first ever book club. We'll be discussing memory, nostalgia, and declarative sentences in a conversation based on Joe Brainard's classic I Remember and Georges Perec's response, I Remember. With special guest Daniel Levin Becker, writer, translator, and member of the Oulipo. Snacks and refreshments provided. Buy the books at the store or enter promo code BOOKCLUB when ordering online for a 10% discount. Facebook RSVP requested. 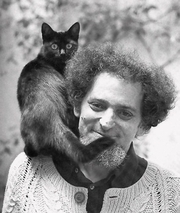 Georges Perec is currently considered a "single author." If one or more works are by a distinct, homonymous authors, go ahead and split the author. Georges Perec is composed of 16 names. You can examine and separate out names.